Reading between the lines of its public messaging, the McNeil Liberals seem to think that budgetary deficits hamper economic growth, that the provincial debt-load will crush future generations of Nova Scotians and that one potent method of slaying the deficit is to freeze public sector employee compensation. Is this true? Since its election in 2013, the Government of Nova Scotia has made balancing the budget its top priority. Although public officials rarely use the term "austerity" to describe their approach to fiscal policy, the narrow focus on debt and deficits is indicative of their belief that spending reductions are a one-way ticket to a better economic future. In a new report published with the Nova Scotia branch of the Canadian Centre for Policy Alternatives, I assess the government's claims to see if they hold any water. They don't. Not only has the government mid-identified Nova Scotia's economic challenges; the proposed solution, austerity, would likely do more harm than good. Consider this: the estimated budgetary balance for the 2016 fiscal year is a $127 million dollar surplus. The government forecasts that the surplus will grow over the next four years, rising to $132 million by 2019. Nova Scotia's debt load stands at 38 per cent of GDP and has been stable for the better part of a decade. And at less than 10 per cent of budgetary revenue, debt servicing costs (principal plus interest) are at a quarter-century low. These fiscal facts lay to rest any notion that government spending is too high or that the public debt is unmanageable. The government's austerity program, which has no fiscal justification, seems predicated on the notion that public sector employees are overpaid, but this judgment is difficult to reconcile with the facts. Hourly earnings in health care, education and public administration are in line with Atlantic Canada averages. And when it comes to the growth of hourly earnings, it turns out that Nova Scotia's public sector workers have seen poorer wage gains over the past decade than their private sector counterparts and their public sector counterparts in Atlantic Canada. The roots of Nova Scotia's economic challenges seem to reside in unfavourable demographic and labour market trends. The McNeil Liberals appear set to rack up budgetary surpluses through a strategy of public sector wage suppression. This is likely to backfire. It is an elementary insight of economic analysis that, just as one person's expenditure is necessarily another person's income, one sector's expenditure (in this case, the government) is necessarily another sector's income (namely, households and businesses). By limiting public sector wage increases below prevailing inflation rates, the government will shrink household purchasing power and weaken aggregate demand. Furthermore, a strategy of public sector wage restraint may spill over into the private sector insofar as it signals to employers that they can scale back on wage increases without risking retention. With GDP growth rates in Nova Scotia running at half the Canadian average and with income inequality hovering at a four-decade high it would take an impressive contortion of logic to assert that Nova Scotia's workforce is in need of a pay cut. The roots of Nova Scotia's economic challenges seem to reside in unfavourable demographic and labour market trends. The province's population is stagnant, the working-age population is shrinking and private sector job creation has been abysmal. The McNeil Government's austerity program will exacerbate these problems, not alleviate them. Job creation should be made the top economic priority, not balancing the budget. So what should the government do? For starters, it can listen to economists at the IMF and OECD. After decades of sermonizing about the virtues of balanced budgets, these bastions of neoliberal economics have begun to change their tune. In the context of weak economic growth, the IMF has recently stated that budgetary deficits are preferable to surpluses and debt reduction. Austerity measures, the IMF continues, reduce human well-being, weaken aggregate demand and worsen unemployment. Job creation should be made the top economic priority, not balancing the budget. The government should take advantage of ultra-low interest rates and invest in critical social and physical infrastructure such as health care, childcare, education and the transition to a low-carbon economy. These measures will not only strengthen aggregate demand, but they will improve the quality of life for Nova Scotians. And from a fiscal standpoint, the increased debt needed to finance these investments can be reduced through organic growth. A key principle of good governance is to avoid making matters worse. 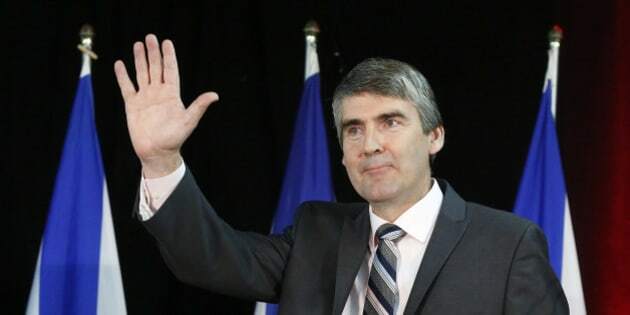 The McNeil Liberals dogged pursuit of balanced budgets may seem wise in the short run, but Nova Scotians would be better served by an economic strategy that is predicated on expansion, not contraction.